It’s extremely easy to get started on a fitness routine—in fact, most people have given it a go at some point or another. The trouble isn’t starting a routine; the problem is sticking to a routine. Why is it so hard? The initial excitement and energy we develop fade over time, and life seems to get in the way. We give up. So how can we hang in there and get our fitness routines to stick? It helps to mix up what we do for exercise to make sure we don’t get bored. However, you are more likely to skip your workout if you absolutely detest your cycling class. The secret is to pick activities we like and to choose several of them. If you like weight lifting, yoga, running, and tennis, then rotate through these every week. Skip the cycling class if that isn’t your thing and pick something that will make you feel excited about your workout. Exercise can be a very social activity, and an exercise buddy can keep you accountable. Make a promise to meet at the gym after work. Plan to go for a walk together after dinner. You may be willing to let yourself down with the workout, but you will be much less likely to do that to a friend who is going out of their way to meet you. 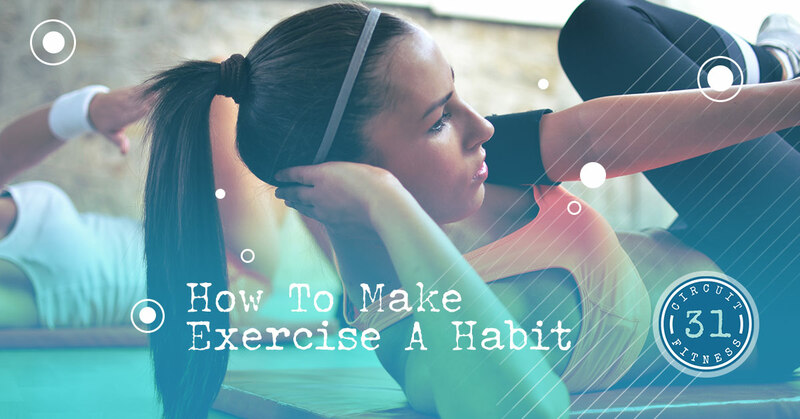 If exercise becomes as important to you as brushing your teeth every morning, then it will become an easy habit to commit to. We understand that this is easier said than done, so committing to a certain time or a regular habit is key. Over time, your friends and family will realize that this is part of who you are. Instead of trying to pressure you to go out for drinks during your workout time, they will learn to suggest that you swing by once you are done. This is a challenging one, but it is possible! Some people find that they have a ton of success committing to their fitness when they go to the gym every morning before work. Others find that stopping at the gym on the way home from work is the next best choice. Whatever your method, choose a time and stick to it. The secret is to not let your home come in between the gym and work, however. It can be challenging to convince yourself to leave to go to the gym after you’ve already come home after a long day at work. If you tend to skip your daily fitness regimen because you’re exhausted, you’re doing it wrong. Working out gives our bodies energy! When we work out, our bodies make better use of the oxygen we are bringing in. This leads to that euphoric “runner’s high” many people get after any form of work out. Even if you think you are too tired, remind yourself that you will feel more awake and energized afterward. Yes, your clothing getting looser feels nice. So does being able to lift heavier weights. But there are smaller markers of progress that you should notice! Pay attention to your body and your habits. Are you sleeping better at night? How is your energy level during the day? How about your thought clarity? Your life can improve in many ways once you commit to your fitness, and that’s not just in reference to your weight. Making a permanent change in your behavior is a real challenge, so you may need to reward yourself. Decide on a goal, and then start working towards it. Maybe you’ll purchase a new bike once you meet your fitness goals, or you’ll treat yourself to a facial for hitting 10,000 steps at least three times a week. Whatever works best for you and keeps you motivated, don’t stop working towards it! If you are worried about having the time to work out, then we have the gym for you. Circuit 31 Fitness has a workout that takes only 31 minutes to complete, and we would be happy to help you stay on track to meeting your fitness goals. Stop in today to learn more and try our gym out for yourself!